Pop figures and toys are appealing for fans of pop culture of all ages and are great fun to collect. The range of figures celebrating favourite characters from pop culture and fandoms is ever growing and constantly changing. 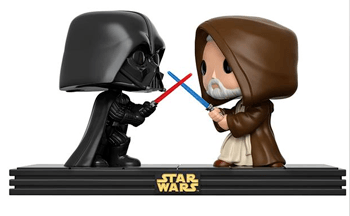 In this post, I’m going to share some of the best Funko Pop figures which also happen to tie-in with great reads for children and grown-ups. 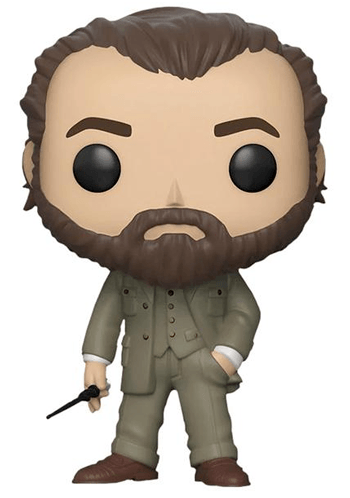 The Funko Pop collection contains many characters from books, from movies based on books and which have bookish connections. If you are looking for holiday season gift ideas, they certainly make great gifts for book fans and fans of popular culture. I find the cute figures great to decorate bookshelves alongside their companion books. Funko creates a range of pop toys, plushies and Funko Pop Vinyl figures that both kids and grown-ups love to collect. I’ve paired up some of the best Funko gifts with great books to compliment each one. Whether the film inspired the book – or the book inspired the film or TV show – there are loads of great screen and page pop culture tie-ins. They are celebrated in many great pop characters, and you can find a quick overview of our favourites below. Scroll down past the table for more details on each figure from the list. 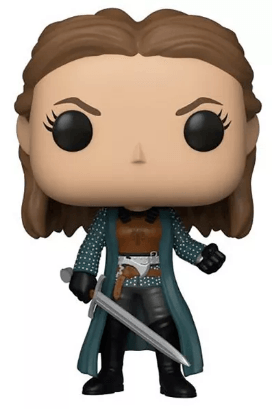 If you are in a big hurry, here is a quick link to my current top choice of book-related Funko figure available from Forbidden Planet. This is just perfect for a really special gift for fans of the Harry Potter books and particularly of The Hogwarts Express! One aspect to consider when you buy Pop online is to beware of fake copies. Check around different retailers for Funko Pop price guides. The prices of figures should be fairly uniform. If you come across unusually cheap Funko Pop figures, you may be getting a bargain or sadly you may be getting a knockoff. If in doubt, it’s worth checking out close details of the figure on offer and comparing the images displayed to official Funko listings. When you are shopping online check reviews from other buyers to ensure you are getting what you want. Kids love the Grinch, a classical book character created by the incredible imagination of Dr. Seuss. This is a great one for nostalgic grown-ups too. For me, the characters from the books by Dr. Seuss – from the Cat in the Hat to Horton from Horton Hears a Who! – bring back fun memories of childhood reading. This new Grinch figure joins the Funko Pop Vinyl collection in time for Christmas 2018. Dr. Seuss was well-known for his philosophy of making reading fun and ensuring children develop a great love for books. His stories are charming and exciting for children to read. The Grinch might have tried to steal Christmas, but the books about his antics have brought many a smile during the holiday season! Pop dolls are not just for young readers and fans! Here’s a great option for older readers who love horror. Get the plushie or figure to accompany a gift of one of Lovecraft’s books featuring the Great Old One himself. 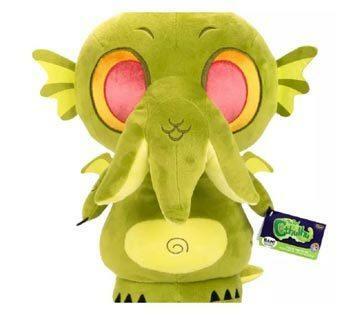 Who would have thought Cthulhu could ever look so adorable as he does in this representation of his tentacle filled visage in Plushie form? The plushie or figure will go perfectly with The Complete Cthulhu Mythos Tales by H. P. Lovecraft. 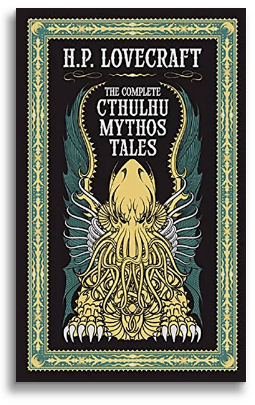 This edition includes ‘The Call of Cthulhu’, and 22 other weird stories by Lovecraft, along with additional material from other authors and artists. Fans of the boy wizard and his friends can find an incredible selection of pop dolls, whoever their favourite character is, from Voldemort to Ginny Weasley! Personally, I love the character of Hermione Granger who loves to study and is often to be found in the library. This Pop! 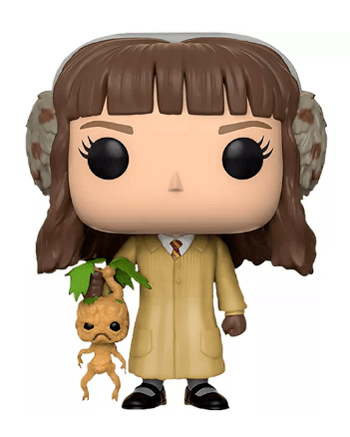 Vinyl figure captures the scene in herbology class when the Hogwarts students learn about the healing powers and care of the Mandrake root. Although the screams of Mandrake roots can cause terrible damage to students ears, they also have incredibly useful powers. These were crucial to the plot of the second book in the Harry Potter series, Harry Potter and the Chamber of Secrets by J.K. Rowling. When students, (and a cat!) started to turn-up petrified during mysterious goings-on at Hogwarts, Mandrake roots were used to un-petrify them. 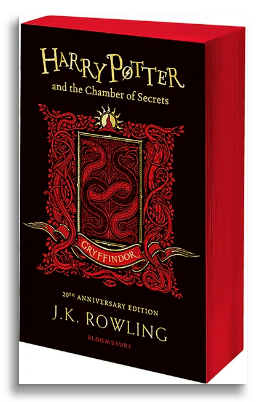 Potter fans, old and new, will love the new house themed editions of the Harry Potter books. Although I’m Hufflepuff myself – in honour of Hermione I’m illustrating this book choice with the Gryffindor version! 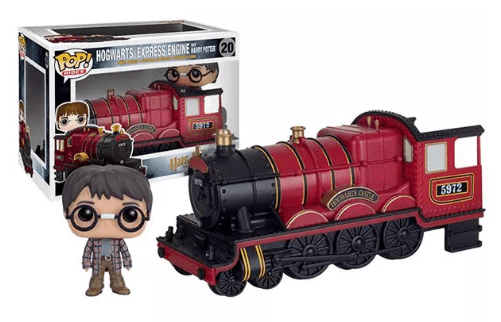 Take your Harry Potter and Funko fandom to the next level with this special Pop Bobblehead and train. Relive Harry’s amazing journey to Hogwarts! The figure of Harry can even be placed in the Hogwarts Express model to ride along. Harry is depicted in his oversized checked shirt from his time living with the Dursleys, which he wore on his first eye-opening journey on the train to Hogwarts. The Funko figures and train set are a perfect match for the first book in the magical series. On that first train ride to Hogwarts, Harry meets his soon to be best friends Hermione and Ron. Harry learns a lot about the magical world he is entering into. The twentieth-anniversary special editions of the Harry Potter books are perfect for those Potterheads who know exactly what house the sorting hat would place them in! 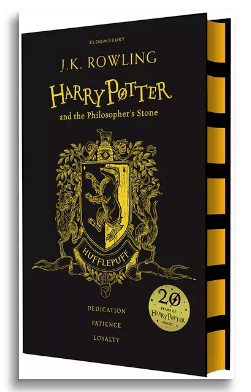 I’m a loyal Hufflepuff so this version is perfect for me and goes to the top of my bookish wishlist! In Fantastic Beasts and Where to Find Them, Newt Scamander has dedicated his life’s work to understanding magical creatures through the study of Magizoology. 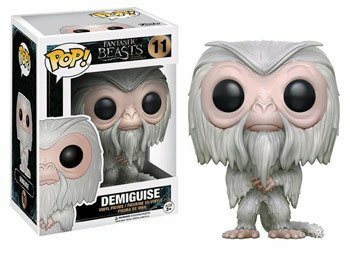 This Funko figure captures the thoughtful, haunted presence of the Demiguise, a chameleon-like creature with pre-cognitive abilities and a kind heart. It’s a great addition to any fan of Fantastic Beasts collection of figures and memorabilia. Newt Scamander’s guide to finding fantastic beasts is a classic read in the wizarding world. This beautiful edition has imaginative illustrations by Olivia Lomenech Gill. The book features a detailed study of the many magical creatures and wildlife which can be found across the five continents but which are rarely seen by Muggles. Fans of Fantastic Beasts and Where to Find Them are eagerly awaiting the new film, Fantastic Beasts: The Crimes of Grindelwald, due for release in November 2018. The trailers have revealed that the greatest wizard, Albus Dumbledore himself, will appear in the movie. We will get to see the younger Dumbledore in action at Newt Scamander’s side. How exciting! If you already have a Funko figure of the Dumbledore we are more familiar with from Harry Potter’s days at Hogwarts, why not add young Albus to your collection too! 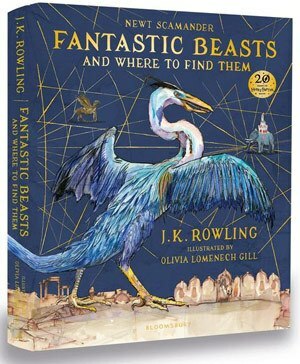 There are several Crimes of Grindwald book tie-in options for book fans who love Fantastic Beasts, including the screenplay of the new film, which is available for pre-order now. 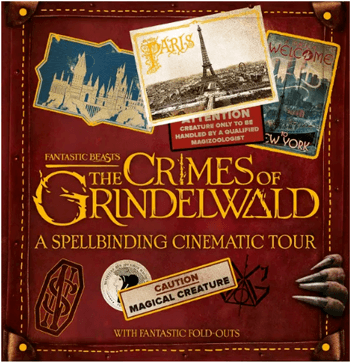 The Spellbinding Cinematic Tour will also make a great addition to Fantastic Beasts fans’ libraries. The collection of imagery and details from the film should also be a great option for reluctant readers who love the wizarding world. My son has been loving the Trollhunters Netflix TV series and recently read the original book which inspired the show. The book was written by Guillermo del Torro and Daniel Kraus. Film director del Torro also wrote and produced the show. The dramatic story of a hidden underworld full of trolls is gripping and exciting. Jim’s life is transformed when he finds a mysterious amulet and becomes the Trollhunter. He must work with his friends and a group of friendly trolls to defeat the evil trolls which threaten both the human and troll worlds. 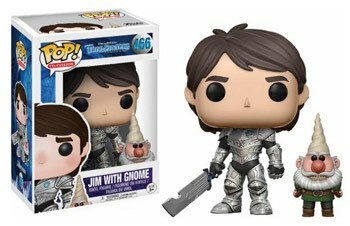 This Funko figure captures the look of Jim in the TV show, and he is accompanied by the cute and helpful Gnome Chompsky (whose name references the linguist Noam Chomsky). While the original book Trollhunters by Guillermo del Toro and Daniel Kraus differs from the TV show it is a great read for fans of the show and other readers who are love fantasy. Like the show, it is a thrilling adventure, as Jim journeys into the underworld to battle trolls. In the book, Jim has been brought up by an over-protective father who lives in fear after Jim’s brother has gone missing. While the animation created by Dreamworks is aimed at fairly young children, the book is more suitable for teens and is more gruesome and shocking than the animation. In the opening pages, it is revealed that a huge number of children are missing. The opening sentence, “You are food” sets the tone! There is a huge range of fantastic Star Wars Pop Vinyl figures, many of the characters from the ever-growing film franchise can be collected. The Pop! Vinyl Movie Moments collection depicts awesome movie scenes. Who can forget the iconic duel between Sith Lord Darth Vader and his former master, Obi-Wan Kenobi? For many of us, it was this film that began our epic journey to a galaxy far far away. “If you strike me down, I shall become more powerful than you can possibly imagine.” Noooooo!!!! Pair up the Funko duel set with this stunning book full of interviews and archive materials from the making of Episode IV, and you have the perfect gift set for bookish fans of A New Hope. 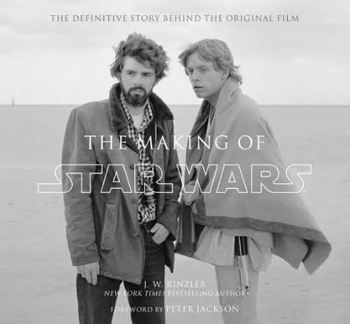 The book, written by J.W Rinzler, with a foreword by Peter Jackson, features hundreds of images and shows how Star Wars evolved from George Lucas’s initial ideas to the amazing movie it became. Now here’s a really adorable alien Pop Bobblehead. The crystal fox-type aliens helped save the day for the surviving members of the resistance in Episode VIII – The Last Jedi. 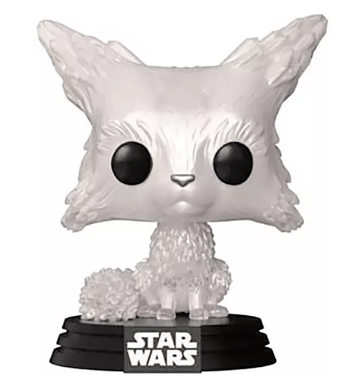 The Vulptex Funko figure captures the translucent crystal creature and would make a great gift for fans of the most recent Star Wars films. Here’s the perfect book to accompany the Vulptex or other alien Funko’s including the latest “love them or hate them” cute Star Wars aliens – Porgs. 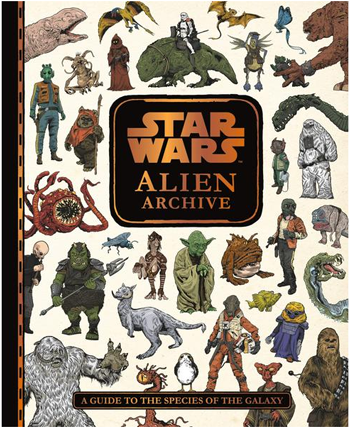 The newly release Alien Archive is a comprehensive guide to all the species featured in the Star Wars galaxy. It’s great for old and new fans from young reluctant readers to older fans. Now to move on to something that’s definitely for the grown-up pop culture fans! Game of Thrones Pop Vinyl characters are great for those who love George R.R. Martin’s books and the TV show inspired by them. This figure of Yara Greyjoy really captures the strength and fierceness of the Ironborn leader. Have you watched the show but not read the book series by George R.R Martin yet? 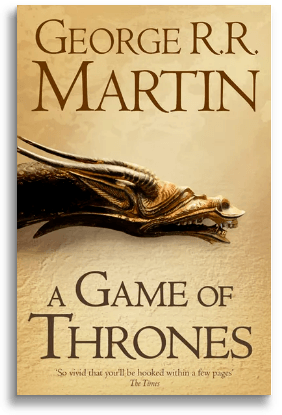 The first in the series, A Song Of Ice & Fire sets up the drama and conflict which quickly spreads across the Seven Kingdoms. Daenerys Stormborn of the House Targaryen has earned many titles through her journey. During Season Seven of the TV show, she took her place on the Dragonstone Throne. 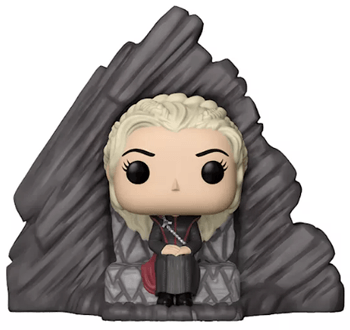 If you are team Dany, what better way to celebrate her – while she still fights for her place on the Iron Throne – than with this sweet but powerful figure? 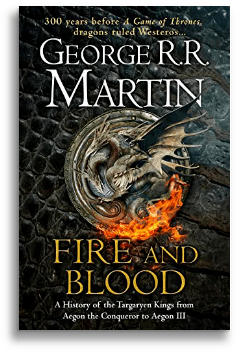 Find out the history of the Targaryen family’s legacy and rule in this new book Fire and Blood by George R.R. Martin. It begins the story of the powerful dynasty 300 years before Dany began her struggle to retake the Iron Throne. You can also check out the Game of Thrones Mini Funko Pop series. Take your chances when you buy the blind boxed minis, you could get any character! By releasing rare Funko Pops and exclusive Pop Vinyl figures, Funko attracts many collectors to look out for opportunities to find rare Pop figures. Special events like Comic-Con events often feature an exclusive release. Check out these exclusives which are currently available at Forbidden Planet. There are so many Funko figures out there, and I’d love to talk about them all day, but this article has to end somewhere! So I will end with a few quick mentions of some more of our favourites, including some of the best Pop Heroes! There’s moody Batman Pop Vinyl from DC’s Batman vs Superman. Then we have Marvel’s heroes like Funko Pop Spiderman in his Iron Spider suit and bearded Captain America Funko Pop from the stunning Infinity War movie. Look out for more great Marvel Funkos in my guide to books and gifts for Marvel fans. I hope this guide to our favourite Pop! 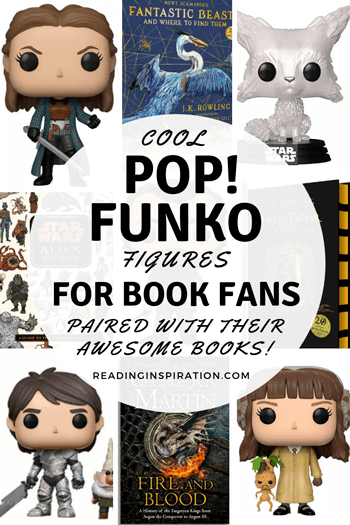 Funko figures has given you lots of fun ideas for gifts for book fans or to help you create your own Funko Pop display. Do you have a favourite bookish Funko character? Feel free to add your ideas and thoughts in the comments below. And if you are are a fan of Harry Potter you might also enjoy our article about our favourite majestic creature in the wizarding world. 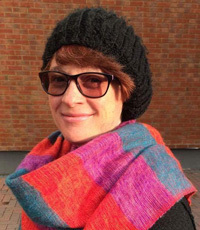 Angela is a mum who loves sharing reading ideas for kids and grown-ups alike. When she is in the mood for serious reading she loves dystopian and speculative fiction including the works of David Mitchell and Margaret Atwood. But secretly Angela enjoys borrowing all her son's books and shares his love for middle grade fiction, especially fantasy. She has a background in education & publishing and believes all children - no matter what holds them back or where their interests lie - can enjoy wonderful story-telling. Angela has created this blog to provide a resource for families to find great books for the whole family - parents included! Let's go find great books! Hi. I'm Angela. Equipped with a background in education and a love of bookish magic, I want to help you find the best books for your family - parents included! The perfect reads are out there for each and everyone of us - let's go find them! Get your FREE Library Reading Challenge Activity!